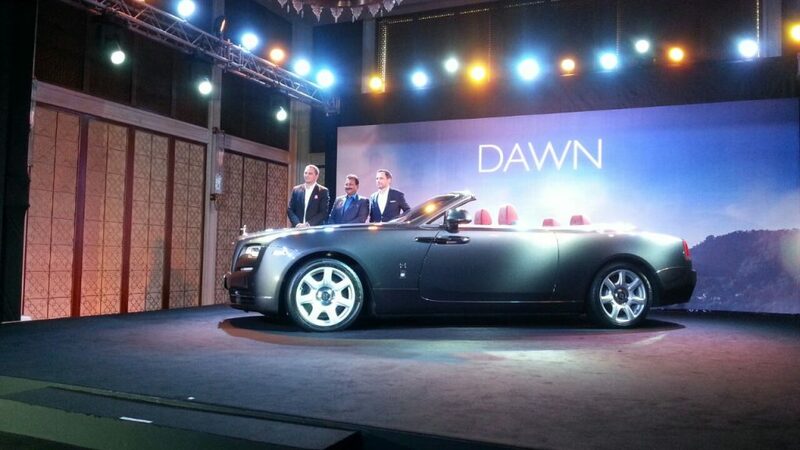 Rolls Royce has announced the launch of the Rolls Royce Dawn in India. The 2+2 super luxury convertible is priced from INR 6.25 crores (ex-showroom). 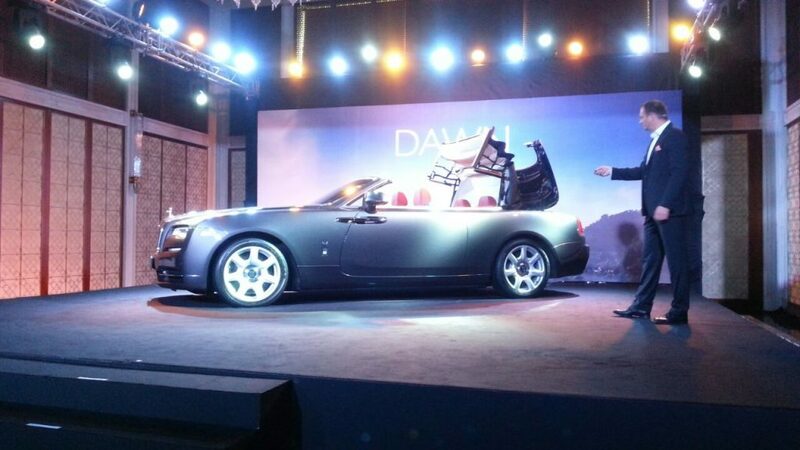 The 2+2 super luxury convertible is priced from INR 6.25 crores (ex-showroom). Basically the convertible version of the Rolls Royce Wraith, the Dawn made its public debut at the 2015 Frankfurt Motor Show. It measures 5,285 mm in length, 1,947 mm in width, 1,502 mm in height, and has a wheelbase of 3,112 mm. The highlight of the Dawn is its fabric roof, which takes just 22 seconds (revised from previously stated 20 seconds) to operate, and can be opened or closed at speeds of up to 50 km/h. With the roof stowed into the boot volume, the leftover space for luggage is 244 litres. It also has a Phantom Drophead-inspired Canadel open-pore veneer on the doors, dashboard and rear deck. Otherwise, the interior and features are largely identical to the Wraith. The highlight of the Dawn is its fabric roof, which takes just 22 seconds (revised from previously stated 20 seconds) to operate. The Rolls-Royce Dawn is powered by a 6.6-litre twin-turbo V12 engine that is shared with the Rolls Royce Ghost and Wraith. It produces 563 bhp at 5,250 rpm and 780 Nm of torque at 1,500 rpm, and is paired to an 8-speed automatic gearbox with GPS-guided shifting. It can do 0-100 km/h in 4.9 seconds and has an electronically governed top speed of 250 km/h.